Congress has approved sweeping tax cuts and tax reform that have not been tackled by the federal government in over 30 years (since the Tax Reform Act of 1986.). 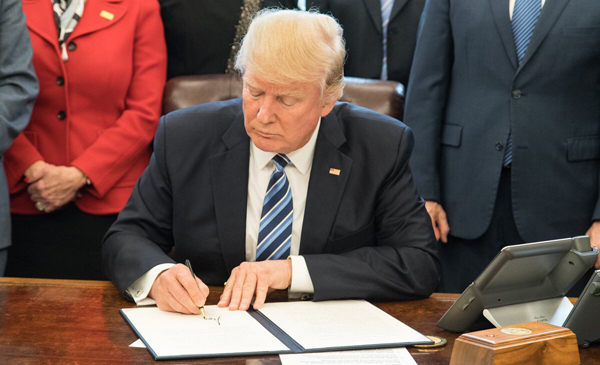 The new tax law, formally referred to as “The Tax Cuts and Jobs Act,” will go into effect in less than two weeks on January 1, 2018. This article has the most up-to-date information along with a summary of how the new tax law provisions will affect homeowners and real estate investors who own all types of investment property. Although this article generally does not delve into tax issues not associated with real estate, there are many new tax provisions and this is essential information for anyone that owns real estate to understand. As a result of doubling the standard deduction to $12,000 for single filers and $24,000 for married filing jointly, according to Moody’s Analytics, as many as 38 million Americans who would otherwise itemize may instead choose the higher standard deduction under the new tax plan. The doubling of the standard interest deduction, in essence, removes a tax incentive of moving from renting a home to home ownership and a likely outcome will be fewer Americans choosing to become homeowners versus renters solely for the tax advantages. Any home mortgage interest debt incurred before December 15, 2017, will continue to be eligible for the home mortgage interest deduction up to $1,000,000. Any home mortgage interest debt incurred after this date will be limited to no more than $750.000 qualifying for the home mortgage interest deduction. Beginning in 2018, the deduction for interest paid on a home equity line of credit (“HELOC”) will no longer be eligible for the home mortgage interest deduction. However, the new tax law preserves the deduction of mortgage debt using to acquire a second home which should have a positive impact on supporting property values in resort and vacation destinations. State and local taxes (referred to collectively as “SALT”) can be deducted but will no longer be unlimited as under current tax law. The 2018 tax law will allow homeowners to deduct property taxes and either income or sales taxes with a combined limit on these deductions being limited to no more than $10,000. The top earners who live in high state tax like California, Connecticut, Oregon, Massachusetts, New Jersey, New York and other states will be negatively affected the most by no longer having the previous full federal deduction available. There is the potential for home values in high state tax areas on both the West and East Coast to see a reduction in property values. A National Association of REALTORS™ study determined there could be a drop in home prices up to ten (10) percent in these and other high state tax areas. Both the House and Senate tax bills had originally proposed increasing the length of time a homeowner would need to live in primary residence (from five out of eight years versus the current requirement to live in a primary residence two out of five years to qualify for the Section 121 tax exclusion.) This proposed change did not become a part of the 2018 tax law. Homeowners owners will continue to only need to live in their primary residence twenty-four (24) months in a sixty (60) month time period to be eligible for tax exclusion up to $250,000 if filing single and up to $500,000 if married filing jointly. Property owners will still have the ability to convert a residence into a rental property or convert a rental property into a residence and qualify for tax exclusion benefits under both the primary residence Section 121 rules and also potentially qualify for tax deferral on the rental property under Section 1031. Investment property owners will continue to be able to defer capital gain taxes using 1031 tax-deferred exchanges which have been in the tax code since 1921. No new restrictions on 1031 exchanges of real property were made in the new tax law. However, the new tax law repeals 1031 exchanges for all other types of property that are not real property. This means 1031 exchanges of personal property, collectibles, aircraft, franchise rights, rental cars, trucks, heavy equipment and machinery, etc. will no longer be permitted beginning in 2018. Some investors and private equity firms will not have to reclassify “carried interest” compensation from the lower-taxed capital gains tax rate to the higher ordinary income tax rates. However, to qualify for the lower capital gain tax rate on “carried interest” investors will now have to hold these assets for three (3) years instead of the former one (1) year holding period. Some property owners such as farmers and ranchers and other business owners will receive a new tax advantage with the ability to immediately write off the cost of new investments in personal property which is more commonly referred to as full or immediate expensing. This new provision is a part of the tax law for five (5) years and then begins to taper off later on. There are significant concerns these business and property owners will face a “tax cliff” and higher taxes once the immediate expensing provision expire. Investment property owners can continue to deduct net interest expense but investment property owners must elect out of the new interest disallowance tax rules. The new interest limit is effective in 2018 and applies to existing debt. The interest limit, and the real estate election, applies at the entity level. The new tax law continues the current depreciation rules for real estate. 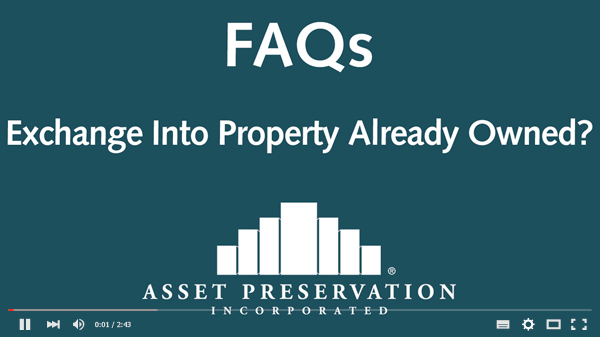 However, property owners opting to use the real estate exception to the interest limit must depreciate real property under slightly longer recovery periods of 40 years for a nonresidential property, 30 years for a residential rental property, and 20 years for qualified interior improvements. Longer depreciation schedules can have a negative impact on the return on investment (“ROI”) and property owners will need to take into account these longer depreciation schedules if they elect to use the new real estate exception to the interest limit. The tax law creates a new tax deduction of twenty (20) percent for pass-through businesses. For taxpayers with incomes above certain thresholds, the 20 percent deduction is limited to the greater of: 50% of the W-2 wages paid by the business or 25% of the W-2 wages paid by the business, plus 2.5% of the unadjusted basis, immediately after acquisition, of depreciable property (which includes structures, but not land). Estates and trusts are eligible for the pass-through benefit. The 20% pass-through deduction begins to phase-out beginning at $315,000 for married couples filing jointly. The new tax law restricts taxpayers from deducting losses incurred in an active trade or business from wage income or portfolio income and this will apply to existing investment and becomes effective in 2018. The new tax law retains the 20% tax credit for the rehabilitation of historically certified structures, but taxpayers must claim the credit over a five (5) year time period. This article is only intended to provide a brief overview of some of the tax law changes that will affect any taxpayer who owns real estate and is not intended to provide an in-depth overview of all the new tax law provisions. Every taxpayer should review their specific situation with their own tax advisor. Can a Taxpayer Exchange Into a Property Already Owned? Join our one-hour 1031 exchange webinar for tax and legal advisors (CPE credit available) on Thursday, January 11th at 11:00 a.m. EST. This webinar tackles issues such as reverse and improvement exchanges, related party issues and how to avoid common pitfalls. You will receive a summary of current developments regarding possible tax reform and the implications on 1031 exchanges. Happy Holidays From Asset Preservation, Inc.